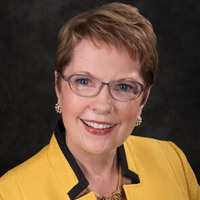 President Elizabeth (Beth) J. Stroble was quoted in Diverse: Issues in Higher Education about how the proposed merger of the federal departments of labor and education could impact college students. The Trump administration has announced plans to create a new Department of Education and the Workforce. Read the full article at Diverse here. 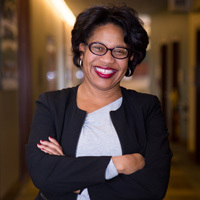 Simone Cummings, dean of the George Herbert Walker School of Business & Technology, is featured in the Aug. 10 issue of Diverse: Issues in Higher Education. The article traces Cummings' journey in higher education and in health care administration and management. The story is already being picked up by secondary outlets. It can be read online at Diverse here. Jeremy Essig, a School of Communications adjunct faculty member, was featured in The Riverfront Times for his new comedy podcast that explores personal failures and how they impacted a person’s life. "My bachelor's degree is in psychology and I've got a graduate degree for journalism," he said. "I feel, for whatever reason, that this show plays to my strengths."